Check our reviews on independent websites. Here are a few testimonials "UK EU Removals" has recieved over the years. We'd love for more people to write about their experiences here. We were really pleased with "UK&EU Removals" boys - I'm sure there was a lot more stuff than they hoped but they were quick and very helpful and patient with us. Highly recommended! Excellent service. Their driver was great loading everything into the van. He drove very well and arrived early enough to get all loaded and get on the road to the channel tunnel, well in time to get on an earlier crossing than planned. At the other end he was again very good at unloading and patient enough to get the van through a tight corner at a gate. 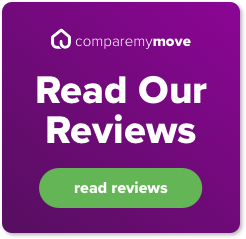 I'm always dubious about reviews I read but I am genuinely pleased that I chose UK&EU Removals to do this delivery UK-France, it was all done on the same day and proved well worth accepting their bid, I would recommend them and definitely look to use them again in the future. Thanks Adrian ! UK EU Removals - is a moving firm which operates in St Albans, London, all UK and Europe. We are specialist in quick, efficient and professional comprehensive Removals from your home or office.